This easy recipe for beer chicken tacos gives this fun supper a delicious twist by marinating in a boozy beer bath for maximum flavor! I never have been quite brave enough to try the traditional recipe for beer can chicken (the one where you position the chicken vertically on a beer can and grill it)…I’m not sure why, other than I have irrational visions of the chicken exploding off the grill and taking flight across my back yard. However, I do love to makes these beer chicken tacos, which I think just might be the next best thing. The chicken starts out by marinating luxuriously in a concoction of your favorite beer and a few spices, and from there it’s a quick 15 or 20 minutes until you are sitting down to a plate full of warm and wonderful chicken tacos. No explosion worries anywhere…let’s make it! 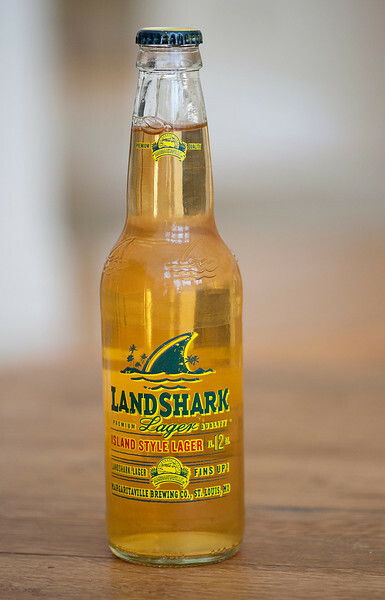 In our house, we always seem to have a few bottles of Landshark in the fridge, so that was the beer I went with for this. I spiced it up with a little salt and pepper and cumin and a few other things, popped the chicken into a plastic bag with the beer mixture, and went about my day. When suppertime rolled around, the Southern husband went out and cooked the chicken, while I smooshed up a quick mixture of avocado and lime juice, and warmed up some tortillas. You can use either corn or flour tortillas for this – we are partial to corn in my house. When the chicken came off the grill, we sliced it into nice thin strips – the thinner the better for easiest eating. I spread an nice dollop of the avocado mixture on the warm tortillas, nestled some of the chicken strips into the avocado, and then topped the whole thing with cheese and parsley. On the cheese: we like to use queso, which is a crumbly white cheese, but you could use shredded Jack or cheddar as well. As for the parsley, that is purely because I am one of those people who shudder at the sight of cilantro, but if you are cilantro person, go for it! And finally, I gave everyone their own personal lime wedges, in case they wanted a little extra bright lime flavor (I did!). Combine beer, oil, salt, cumin and both peppers in a large zippered plastic bag. Add chicken, seal the bag, turn it over a few times to get the chicken thoroughly coated and then let it marinate in the refrigerator for at least 2 hours and as long as overnight. Heat the grill to high, and while the grill is heating mash the avocado with a pinch of salt and the juice from one lime. Set aside. Cook the chicken for about 4 minutes a side or until temperature registers 165 on an instant read thermometer. While the chicken is resting, warm the tortillas (about 20 seconds in a microwave). Cut the chicken into thin strips (the thinner the better for easiest eating!). Spread each tortilla with the mashed avocado, lay on some chicken strips, some cheese and some parsley. Serve at once with lime wedges on the side. Love the simplicity of this recipe! 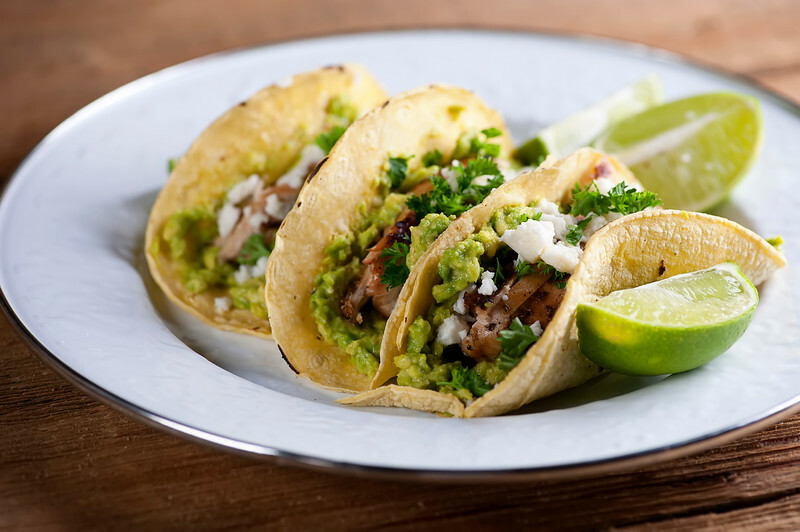 These tacos look amazing, and the use of beer as a marinade is so unique! I’ve never tried beer can chicken either Kate! I’d much rather be safer and go with your version here. It sounds delicious, and I can never pass up a good taco! Same here – I never met a taco I didn’t love!